An amazing waterproof mascara. A must have!!! A really great water proof mascara it does not come off easy especially when you are walking in the rain. I've got really straight lashes and only waterproof formulas can hold a curl. 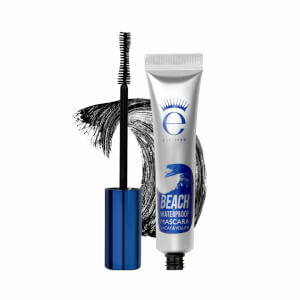 I absolutely love this one as it has fibres in it and makes my lashes look long and full. Plus, it literally lasts all day until I clean it off with eye-makeup remover. So I heard this was super waterproof from a friend, i decided to put it to the test and try it out on holiday. I honestly didn't expect it to work as well as it did. I went from swimming to beach cocktails and not having time to do my makeup was no problem. It stayed on throughout my daily swim and lasted into the night!! The look it gives you is super glam and dramatic, curled black volumized lashes. It was also really easy to take off, I use Nivea micellar water. Just because a mascara claims to be waterproof doesn't mean it's up to the task of being heavy sweatproof while engaging in active sports. 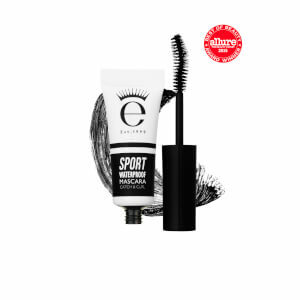 EYEKO is the best mascara I've found for Sports wear. 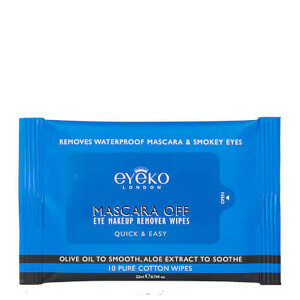 I don't worry about having raccoon eyes at the gym, and am able to remove it with simple eye make-up remover in the shower after my workout. One tube lasts a long time but I always order a back-up before running out. Incredible product through and through. My eyes are extremely sensitive, and so it can be hard to find a mascara that doesn't make my eyes water, itch, or puff up. I have none of these problems with this mascara! It also does its job like a miracle worker!!!! Let's just say that I've had multiple sob sessions with this mascara on, and there is no way you can tell. 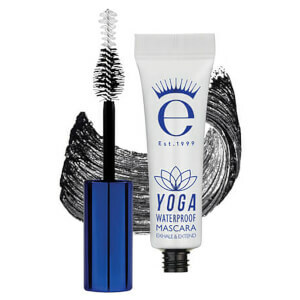 This mascara also excels in the lake and pool! I've used other waterproof mascaras in the past, such as Bobbi Brown's, and they have all smudged a little, or after exposure to water, the volume has gone down. Neither is the case with Eyeko! This also comes off with make-up remover without any resistance. Basically, whatever you need from a mascara, the Sport Waterproof Mascara Catch & Curl can handle it all with ease! I don't think I will ever use another mascara again!! !